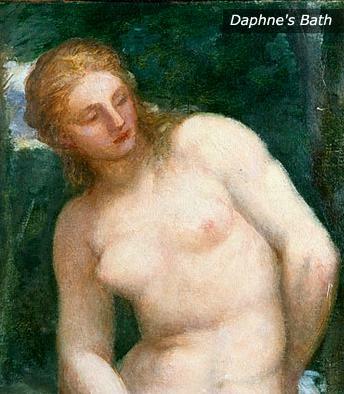 George Frederic Watts was born in London on 23 February 1817; he trained at the studio of the sculptor William Behnes & later attended the Royal Academy of Schools. G.F. Watts (1817 – 1904). 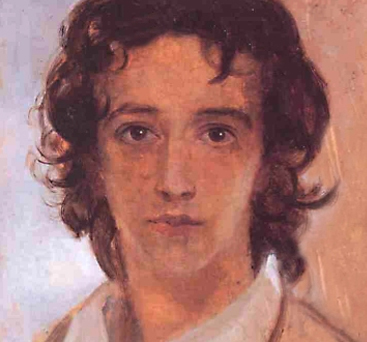 Self-portrait aged around 17. By the time of his death in 1904, he had created some of the most famous sculptures & paintings of the Victorian era, & had become known as the ‘English Michelangelo’. During the 1850s he lived with Sara & Thoby Prinsep at Little Holland House in London, where he became part of a literary, artistic & cultural circle that included some of the most famous men & women of the day. An early painting by Watts, Found Drowned which he did before living with Sara Prinsep. It shows the corpse of a young servant girl washed up under Waterloo Bridge in London. It was among these celebrities that Watts conceived of the idea of creating paintings of such figures & collecting these paintings together to create a Hall of Fame. Over his lifetime, Watts painted military heroes, politicians, writers & artists, & on his death he bequeathed the collection to National Portrait Gallery. It was in Little Holland House that Watts first became acquainted with Alfred Tennyson, & the pair became lifelong friends. Not only was Tennyson’s portrait included in Watts’s Hall of Fame, Watts produced five other paintings of Tennyson & a statue, which now stands outside Lincoln Cathedral. In the 1860s Watts was a frequent visitor to Freshwater, staying at Dimbola Lodge. Watts gave Julia Margaret Cameron advice on how to get her sitters to pose, &, in turn, learnt from Cameron about photography & often used photographs to inspire his painting. For example, in this letter from Watts to Julia Margaret Cameron he comments on her recent photographs of Tennyson. Ellen Terry, aged 16, in 1864. Painted by Watts (left). Watts, aged around 47 in 1865. Photographed by Julia Margaret Cameron (right). In 1864 Watts brought his new wife, Ellen Terry, to Freshwater & they honeymooned at Dimbola; however, the ill-fated marriage was over in less than a year. Nine years later, in 1873, Watts built & moved into The Briary.